“And no one ever will, and the contamination will go on for hundreds of years,” Ms. Caldicott cites top physicists as saying. Initially, TEPCO, the Japanese power provider wanted to erect an ice wall around the perimeter of the Fukushima complex, as ground water the underneath the reactor is absorbing radiation and then flowing into the ocean. An ice wall is a silly idea given the circumstances, remarks the expert, as it would have to last at least a hundred years. Moreover, you would have to have electricity running all the time to keep the ground frozen, explains Ms. Caldicott. Surprisingly enough, TEPCO is not consulting with anyone, says the expert, neither with Russia, after it survived the Chernobyl catastrophe, nor Bechtel, a US major engineering company. It is, conversely, “saving money, using paper coming from homeless shelters”, and the Japanese mafia Yakuza is hiring people to do this work. The expert stresses they are witnessing an absolute catastrophe: 300-400 tons of radioactive water pour daily into the Pacific, and this has been going on for over three years now contaminating the ocean and its ecology. Radiation cannot be diluted, as many isotopes, namely strontium, are concentrated in food chains, in algae for instance. The contamination then passes one to bigger fish typically caught on the east coast from Fukushima. Radiation in the ocean and its ecology has been detected as far away as the America West Coast. TEPCO has stated more than once, the expert says, that they know radioactive water is seeping into the ocean, however, they keep assuring that it is not at levels high enough to cause a significant threat. Conditions on the site are difficult, though, he adds. Two big problems arose from the very start: for one thing, there’s water that originated in the reactor, which flowed through the damaged fill and went to the lower levels. Secondly, there is the ground water that naturally flows from higher elevations to the west, through the ground system, picks up radioactivity around the basement areas of the damaged reactors and flows on to the sea and to the bottom parts of the damaged reactors, Mr. Drolet says. Engineer brigades are currently aiming to block a particular pass so that work could be done inside the building to get the contaminated water sucked out. Still, the complex radiation fields make the surrounding environment hard enough to handle, with people at all times wearing thick suits to protect them from “external radiation inhalation”. This further complicates specialists’ day to day life on the site. Mr. Drolet clearly differentiates between the site as is and the exclusion zone, comprised of small towns and roads lying nearby, within 18 kilometers from the place. The latter can be cleaned up in the next several years, the expert argues. The work consists in finding hot spots in terms of increased radiation, taking off the top layer of the soil, in other words, “taking down some of the radioactivity near the surface and on the surface” and rehabilitating that exclusion zone. The reactor itself is by far “the most difficult issue,” Mr, Drolet states. Each of the three damaged reactors has two main areas of broken fuel: in the spent fuel base, which is up high, and the reactor core. “Slowly and identically they have to remove that fuel, some of it damaged, some of it whole”, using the robotic equipment to a great extent, and move it off site to the repository. Only once the excessive fuel is removed can they move to what the expert calls “nitty gritty of decommissioning” of the reactors themselves, which might span for another decade, before the engineers could turn the site to the so-called brown field condition. As compared to the green field condition, it means the area is safe, clean and cannot be reused, the expert concludes. A 9.0 magnitude earthquake swept across the Japanese coast in March 2011, triggering a devastating tsunami and killing more than 15,000 people and injured 6,000. 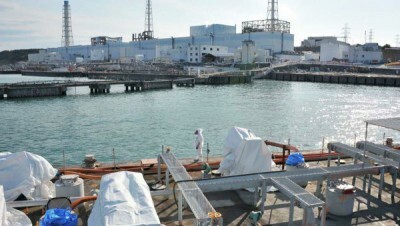 The Fukushima Daiichi nuclear power plant consequently faced meltdowns at three reactors heavily damaged in the tsunami, which led to masses of contaminated water pouring into the ocean.